Fall is one of our favorite times here at Home to Indy! The leaves are changing; the weather is getting cooler; the Colts are back in season; the Pumpkin Spice Latte is back at Starbucks... what's not to love? If you're new to the Indianapolis area, you might not be aware of some of the great Fall fun activities we have to take part in. From hay rides to pumpkin patches, headless horsement to haunted houses, we've got it all. So grab a Pumpkin Spice Latte and take the whole family! You're invited to Conner "Scairie" during October to take part in their Headless Horseman exhibit. It's open from 6:00-9:00 p.m. on October 10-12, 16-19 and 23-26. You can take a haunted hayride, be part of a costume contest, see magic shows, sing "Skary-o-ke", and watch the Legend of Sleepy Hollow marionette show. It's a hauntingly good time! Presale tickets are on sale now at Marsh, Mainstreet, and O'Malia's locations. (You can also purchase tickets at the gate.) Prices vary according to the date, age of admitted, and membership. From October 11-31, you can step up for the ride of your life at the Creepy Carnival, the Children Museum's 51st annual haunted house. IPL sponsors Lights-On hours for those who scare easily. Frightening Hours are offered for those who dare to be scared. Then there's Williams Comfort Air's Xtreme Scream which is recommended for teens and adults. (See website for available times for each area.) Tickets are on sale now. It will have you squealing with fright and delight! A Friendly Feast with the Witches - a breakfast or lunch "boo-fest"
From 2:00-7:00 p.m. on October 3-5, 10-12, 17-19, or 24-26 you can visit the Indianapolis Zoo for ZooBoo. Enjoy Halloween-themed dolphin shows and animal chats throughout the celebrations. The elephants will do their parts to be festive with the pumpkin-gut splattering of the Elephant Pumpkin Smash. Attendees are encouraged to dress in their favorite costumes, but if you need help, face painters will be on hand. Don't forget your trick-or-treat bag for goodies! For ticket prices, visit their website. Want to take your family on a hay ride through a beautiful scenic park? Hay rides are $3 per person at Fort Harrison State Park, but reservations are required (since 20 people are desired to make up a full ride). Bonfires are available for rental as well. To make a reservation, call 317.541.1866. Located in Greenfiled, Indiana, Tuttle Orchards offers barrels of fun yearround! You can pick apples, sunflowers, and pumpkins. The Kids Farm Area includes a straw maze, jungle gym, and tractos to climb on. October 27-November 1 they offer a family-friendly corn maze. They have goats and llamas for visiting, an observation area for watching bees make honey, and hayrides to boot! Check their website for hours, directions, and prices. Whatever you do this Fall, make sure you enjoy our beautiful weather! 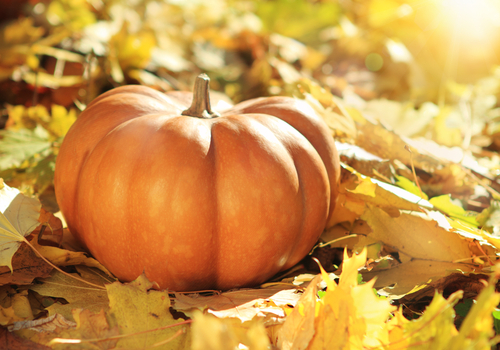 What other fun Fall activities do you recommend in and around Indianapolis? Comment below - we'd love to know!